The people behind Hoods Woods! Hoods Woods has been offering the best survival information on the Internet since 1992 when Ron grabbed the Survival.com domain name. For Ron it wasn’t just a name, it described both a lifestyle and what Ron has been teaching and studying since the 1960’s. It took a lot of “dirt time” to bring you the material on this site and in our videos. We hope you’ll enjoy both! Ron and Karen Hood have filled this site with gobs of useful FREE Wilderness Adventure information and resources. Our goal is to make this important information available to everyone. One of our greatest pleasures are the hundreds of "Thank You" messages we get from our video students, readers and visitors. We know that as you read the information on these pages you will have questions and perhaps would like to share information. That is the purpose of our forum. We invite you to join the FREE Hoodlums group. You will discover a family of great folks willing to share and learn and teach. Now aged 5 Jesse is taking on the role of Woodsmaster Jr. He can start a fire with a spark, whittle stuff with his own knife and build a shelter. You can see more of that in our Family Camping video due out in August 09. We love our new addition and look forward to many years of family adventures. Ron Hood B.A. M.S. Ed.D. (ABD) Developed his early wilderness interests as a member of the Military Intelligence Community while in the Army Security Agency (ASA). After training, Ron spent a year in the Middle East and nearly 18 months in Vietnam. Since the military Ron taught accredited classes in Wilderness Skills at two Universities for over 20 years, authored numerous articles for National magazines, published a Guidebook to the Sierra as well as appearing on many TV and Radio Programs. Ron spends much of his time learning, practicing and studying wilderness and survival skills with native populations around the world. Ron has organized and led month long expeditions to the Andean Cordillera of Chile in search of ancient Inca sites, as well as two long term expeditions to reach, research and film the isolated Chapra/Candoshi tribes of Peru. You can learn more about the Peruvian expeditions in our Woodsmaster video series. Ron was also the Team Captain of “Team Johnny G” during the hyper endurance “Race Across America” (RAAM). 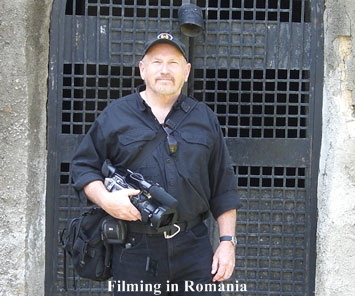 Ron has been featured in dozens of TV programs including special 30 minute programs with Backpacker Magazines “Anyplace Wild”, Myth Busters, Ultimate Survival, Nickelodeon and Japanese Televisions NHK network as well as many others. Ron is also writes a survival column for SWAT magazine. If you want to read about his military history… (click here). Ron is also the Retired Mayor of the City of Crouch (Garden Valley), Idaho and a member of the Governors Roundtable for Families and Children. Karen was raised in the outdoors of beautiful Northern California. She moved to Southern California to attend college where she studied Psychology. While attending college and working as a ballet teacher she met Ron. He introduced her to wilderness survival and they’ve been a team ever since. Yes, it’s all Ron’s fault!! 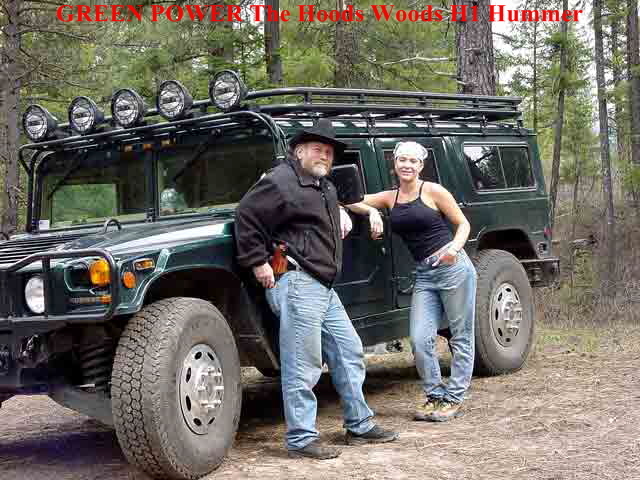 They decided to start their own company “Hoods Woods Wilderness Video Productions” in the early 90’s when they started work producing the award winning Woodsmaster Video Series. Somewhere between the filming of the 5th and 6th volume of the Woodsmaster, they packed their bags, gathered their dogs and moved to the beautiful mountains of central Idaho. The series was such a hit, they decided to put a woman’s spin on “outdooring it” and started co-producing the Cave Cooking video series. 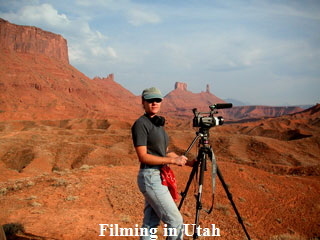 Karen’s the chief Videographer for Hoods Woods as well as co-founder. She’s been working as a professional Videographer full time for a decade and has won 8 coveted Telly Awards for her work along with her husband Ron. In 2002 they won the first Telly Award for her Cave Cooking Volume 3 video. This is a great accomplishment for a little ballet teacher, huh? Karen has written many articles for national outdoor magazines and been featured in segments on TV shows such as David Letterman, Channel 2 news and Channel 4 news. 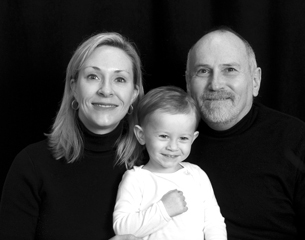 Recently both Ron and Karen were chosen as “Idaho Gems” for KBCI Idaho 2 News. This is a weekly news segment in which people from Idaho are picked that are unusual or special in some way. The most important thing Karen likes to bring into people’s lives is the love of the outdoors. She wants more couples to enjoy the outdoors together. In her video series she shows that it’s not just a “man’s” world out there and that women can enjoy it just as much! She is currently working on her first Cooking Book where she will feature many Dutch oven family recipes and outdoor cooking tips and techniques. Stay tuned for the adventures to come! !